Last year when GIGABYTE introduced its first SSDs, the company took a cautious approach only released entry-level drives. 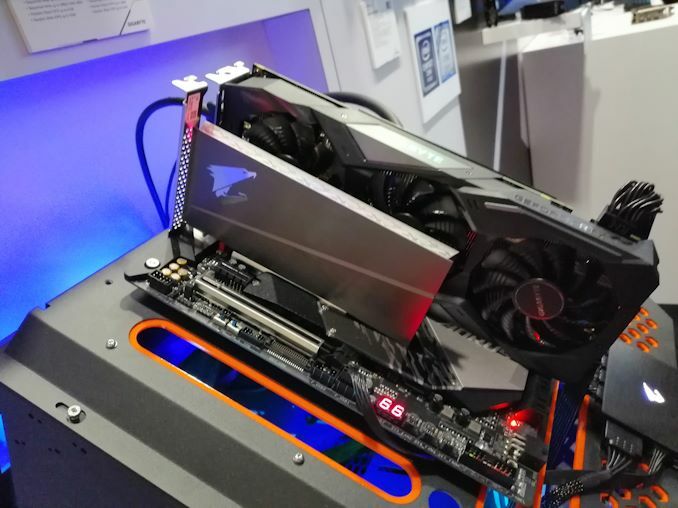 At this year’s CES the company finally unveiled its high-performance SSDs aimed at high-end PCs, which like other high-end GIGABYTE parts will be sold under the Aorus brand. Traditional and typical for GIGABYTE, the drives are based on controllers and reference designs developed by Phison. GIGABYTE’s Aorus family of SSDs will include 512 GB and 1 TB models in both PCIe add-in-card and M.2 module form-factors. The AIC drives feature a large radiator to ensure consistent performance as well as programmable RGB LEDs. Meanwhile, the M.2 modules also come with a heat spreader featuring an RGB-lit golden eagle logo. The new SSDs will be based on the Phison PS5012-E12 NVMe 1.3-supporting controller that has eight NAND channels with 32 CE targets, a DDR4/DDR3L interface for DRAM caching, and a PCIe 3.0 x4 interface. Like most contemporary Phison-powered drives, the Aorus SSDs will use Toshiba’s 3D TLC NAND flash memory. The drives will also come with a 512 MB DRAM buffer, with GIGABYTE using the same buffer size for both capacities. 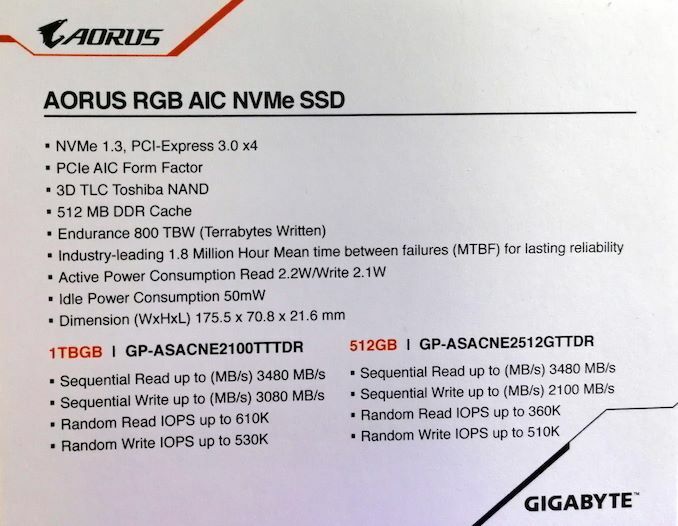 When it comes to performance, GIGABYTE says that its Aorus SSDs will offer up to 3480 MB/s sequential read speeds, up to 2100/3150 MB/s sequential write speeds (512 GB/1 TB versions, respectively), as well as up to 610K/530K random read/write IOPS. As for power consumption, it is not going to exceed 2.2 W, the manufacturer says. Finally, for endurance, the drives are going to be rated for 1.8 million hours MTBF as well as up to 800 TBW (terabytes to be written). 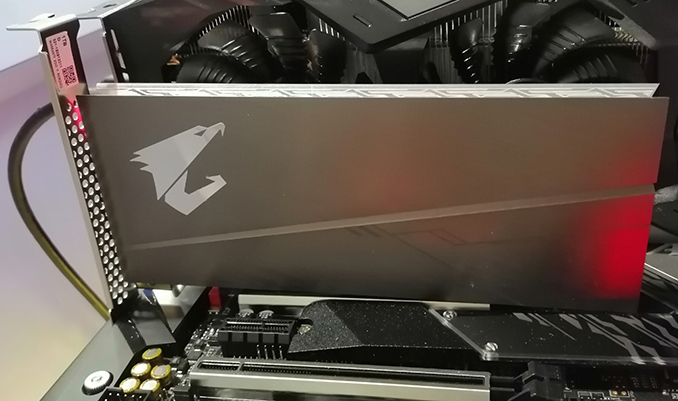 GIGABYTE’s Aorus SSDs will hit the market in the near future, but the company has not yet disclosed the exact timeframes or MSRPs. Today's News - Beefy Arm Bird Flexes Love Muscle on Gigabyte's New SSDs!